Christmas is soon arriving, and the people who celebrate it around the world have their unique ways and traditions surrounding this ages-old holiday. The people of Brazil are no different. ‘But just what do Brazilians do for Christmas?’ you might be wondering. After all, Brazil is in a warm climate, and many people north of the Equator—indeed, north of the Caribbean–tend to associate Christmas with snow, ice, hot chocolate and roaring fires. You might be surprised that a traditional Brazilian Christmas shares some similarities with other cultures, thanks to the influx of immigrants from other European countries as well as influence from the United States. However, there are enough individual differences to balance out the similarities that celebrating Christmas in Brazil is truly an interesting experience, should you happen to be in Rio or Sao Paulo during the holiday season. Christmas is often a big time to get together with family, no matter what your nationality, but family reunions every year are really a big deal. Part of getting together with family involves food, and lots of it. During the month of December, many people participate in the ‘secret-Santa’-like activity called amigo secreto, and it’s not just limited to school children or office parties. Families often do this to help reduce gift costs. Here’s how it works: Names are written on slips of paper and are drawn out of a bag. All month long, those who have drawn each other’s names shower their amigo secreto with little gifts and letters signed with a fake name. Once Christmas Day rolls around, however, the true names of all participants are revealed and gifts are exchanged. 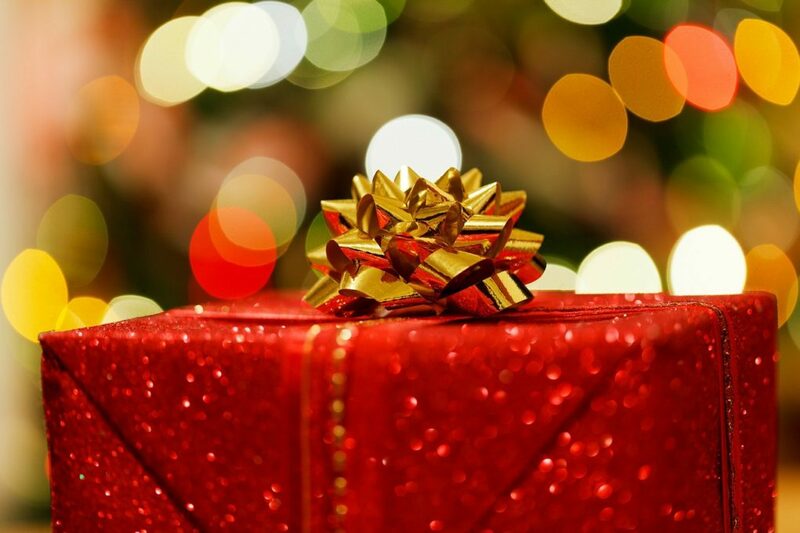 As in the US and other places, a spending limit is agreed upon so that there are no ill feelings if someone purchased a more expensive gift than another person did. Christmas Eve is when Brazilians usually have their family festivities, starting with a big dinner, ranging from turkey with tropical fruit, to codfish, beans and rice, and of course, panettone and strudels, owing to the Italian and German influence. There is often so much food that there is more than enough for having leftovers. Once everyone has finished eating, everyone gathers around the tree later at night to open presents. Another strong tradition is Midnight Mass, or Missa de Galo, but often times, Mass is actually held earlier in the evening because of all the crime that exists. Christmas Day is a day for going to an afternoon Mass as well as heading to the beach for fun in the sun and being with family. A common holiday custom is the folk play Los Pastores, only in the Brazilian tradition, it involves shepherdesses and a gypsy woman intent on stealing the infant Jesus from his manger. Along with this custom is the adoption of the American concept of Santa Claus within the last fifty or so years, but in Portuguese, his name translates to Papai Noel, and instead of his suit being made of velvet and fur like it is in the Northern Hemisphere, it’s made of silk, which is more practical in the Brazilian heat. Also, according to Brazilian legend, Papai Noel lives in Greenland, instead of the North Pole. Nativity scenes are also set up around the country. They’re called Presepios, in honour of the bed of straw that the infant Jesus slept on. Homes, businesses and churches set these up and remain all throughout December.